Handmade in Ireland, this hand wash contains some of the finest natural ingredients that have untold health benefits both externally on the skin and internally in the body. People often forget that what they put on their skin is absorbed into the body. Therefore, making the choice to use natural skincare products can be one of the best choices you can make for your health. 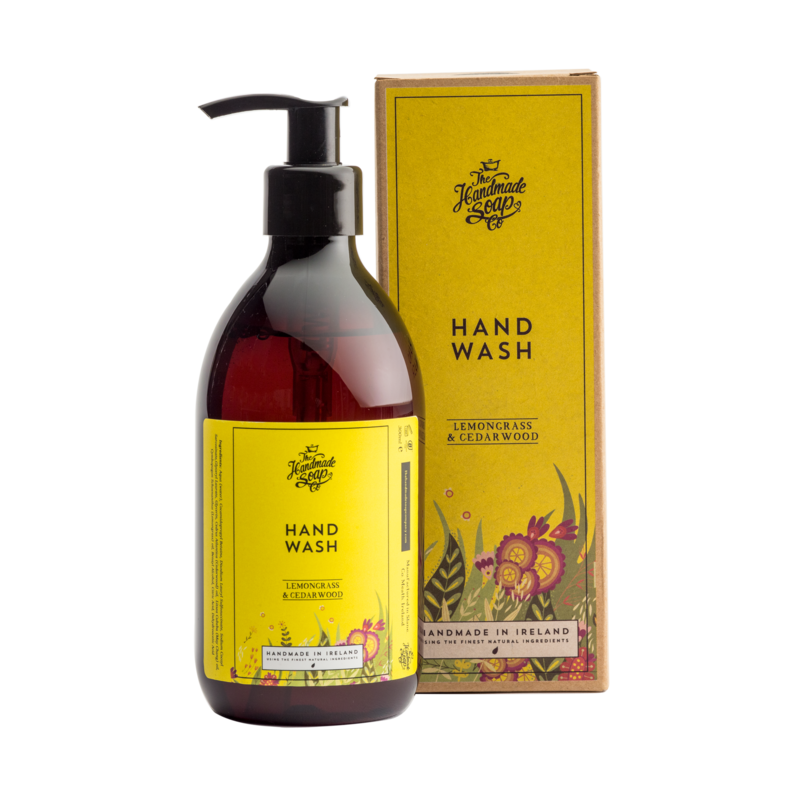 This stunning, fragranced hand wash, bursting with natural fragrances has a lesser chemical base than others on the market. Aqua (water), Cocamidopropyl Betaine, Disodium Lauryl Sulfosuccinate, Sodium Cocoyl Sarcosinate, Glyceryl Laurate, Citrus Nobilis (Mandarin) Peel oil, Glycerin, Benzyl Alcohol, Dehydroacetic Acid, Amyris Balsamifera (Amyris) Bark oil, Pogostemon Cablin (Patchouli) oil, Pelargonium Graveolens (Geranium) oil, Cymbopogon Schoenanthus (Lemongrass) oil. Cymbopogon Schoenanthus (Lemongrass) oil is used as aromatherapy to relieve muscle pain, externally to kill bacteria, ward off insects, and reduce body aches. The Lemongrass oil has a light and fresh lemony smell with earthy undertones. It is stimulating, relaxing, soothing, and balancing. Amyris Balsamifera (Amyris) Bark oil works great in skin regeneration and helps slow down ageing. The Amyris essential oil also acts as an antiseptic, balsamic, decongestant, emollient, muscle relaxant, and useful to soothe and soften dry, irritated skin. The essential oil also has the ability to ease sore and tired muscles.